Want to Increase Goodwill? 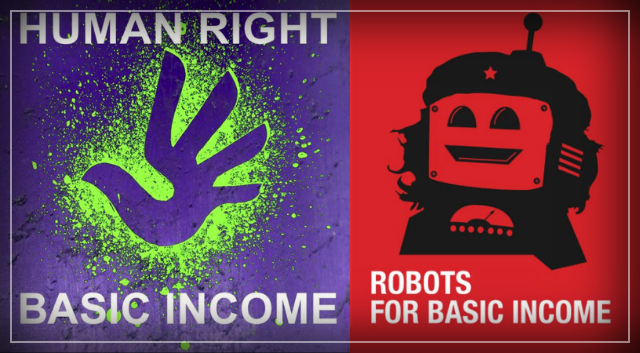 Implement a Universal Basic Income – Natalie Shoemaker. It’s difficult to deny the attractive qualities a Universal Basic Income (UBI) holds. A radical policy such as this could right many of the inequalities that exist in our societies, says Eva Cox, a former program director of Social Inquiry at the University of Technology, Sydney. “Brought together, it is clear that a Universal Basic Income (UBI), if implemented appropriately, could help address historic gender, race and material inequities,” Cox wrote in an essay for the Green Institute, titled Why a Universal Basic Income Can Address Historic, Gender and Material Inequities. At its core, the purpose of a UBI is to create opportunity and freedom where it formerly never existed. It would help ease the frustration many factory workers in America’s heartland are facing with the rise of automation and give those in poverty a chance for something better. This movement has a message centered around creating a fair start for everyone, and challenging misconceptions surrounding the very nature of work. It’s an idea that has had promising outcomes for society in at least one past study. But many economists question it’s practicality. It’s an expensive system to be sure, which is why many countries (the Netherlands, Finland, and Canada) are launching pilot programs to test how it might best be implemented and whether the return is worth the investment. Universal Basic Income is an idea that has long been discussed by history’s great thinkers, but is finally being tested. Whether its time has come is still being debated and trialled, but many hope it can narrow the inequality that causes so much societal tension. The proof of its worth will be in the data. Previous PostIsraelis Will Soon Be Mass Producing AK-47s for the U.S. Market – Neri Zilber. Next PostTrump presidency ushers in a new age of militarism – Ishaan Tharoor.